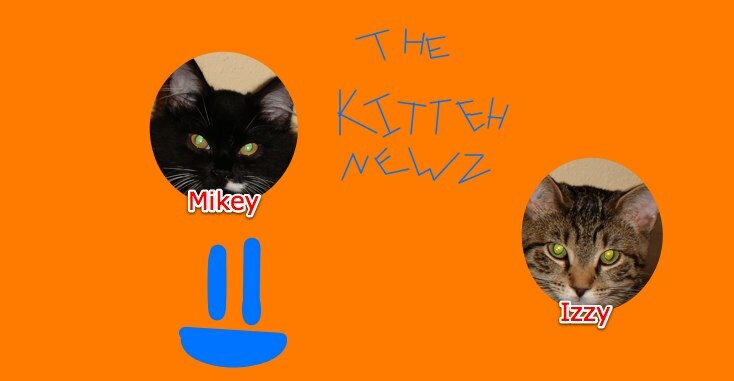 Welcome back to Kitteh Newz! Mikey and Izzy's birthday is July 22nd, and I am trying to figure out what to buy them. I know I am going to get them a new Kitteh Condo, a bigger one. But I cannot decide which one to get! I have been looking around cozycatfurniture.com lately. 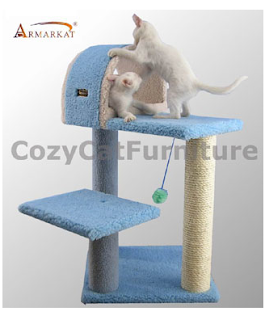 Anyways, these are some of the Kitteh Condos I am considering. In your comments, please tell me which one you think would be best. Izzy loves to climb to high places and bat things, and Mikey loves to relax and sleep as well as batting and chasing things. 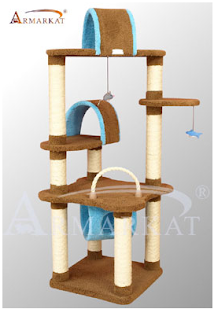 Gee, Meowma, we think the Active Super-Entertaining Kitteh Gym With Perches And 2 Hanging Toys looks fun! We could go through the tunnels, bat the toys, sleep, everything! But we think all of them look real neat. We can't decide either! I do think that one seems pretty cool, but I'm just undecided. Are there any taller ones? Our friends, Holly and Hannah, said they like the first one. Just so ya know, Meowma.